Welcome to the Sweet Tooth Ice Cream & Candy Shoppe, where the confections are a bit on the . . . unusual side. Rock candy that makes you weightless. Jawbreakers that make you unbreakable. Chocolate balls that make you a master of disguise. Four young friends — Nate, Summer, Trevor, and Pigeon — meet the grandmotherly Mrs. White, owner of the Sweet Tooth, and soon learn about the magical side effects of her candies. In addition, the ice cream truck driver, Mr. Stott, has arrived with a few enchanted sweets of his own. But what about the mysterious man in the dark overcoat and fedora hat? Why are all these “magicians” trying to recruit Nate and his friends? Who should they trust? The mystery deepens and the danger unfolds as the four youngsters discover that the magical strangers have all come to town in search of a legendary, hidden treasure — one that could be used for great evil if it fell into the wrong hands. The kids, now in over their heads, must try to retrieve the treasure first. And so, the war begins . . .
Let's see, how many times has my son read this from age 11-14? He says at least 13 times. Enough said. No matter how old you are you can’t help but be intrigued with words like those above from the book, they make you wonder who is Trevor, what kind of candy is that and what is it for. This book was very entertaining to read and was very hard to put down because you could not wait to find out what was going to happen next in the adventures of these young children. I think this book was very well done not only is it fun to read but it also teaches many lessons. One lesson I got from it was if something terrible was happening and you could not get any help from your family who would you go to and who would you trust to help you through the trying times. Another idea the author shares is that throughout our lives we become addicted to things, sometimes it is food and sometimes there are other things that take all of our focus and we can’t do anything other than thinking of getting that thing that is holding you hostage. On top of teaching many lessons, it was still very enjoyable to read and I would suggest it to anyone that likes adventure and intriguing mysterious fun. My daughter read and fell in love with this book. She has convinced the entire family to read it. We have all enjoyed it. Great read for all ages! We like to read stories aloud to our children. When we read this book, all of us were riveted and looked forward to reading time every day. Then when I started he wouldn't let me stop! A great book for a family to read together, or grandparents to read to grandchildren! You'll wish there was a sequel! 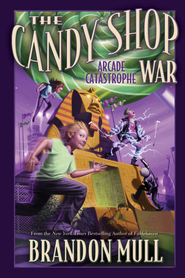 If you loved Fable Haven you will love Candy Shop War! 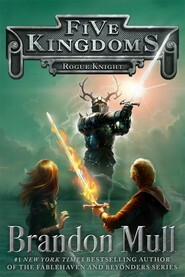 Brandon Mull has done it again. The candy shop war is very entertaining. It keeps you on the edge of your seat. Great read for Parents also. I love to read the books my children read. This one is definitely worth your time. when I started reading the book, I just couldn't put it down!! 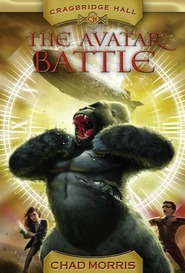 I am a big fan of the Fablehaven Series. 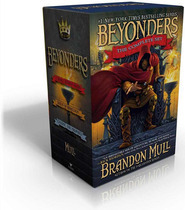 When I saw Brandon had already written another book outside of the series I was anxious to read it. I got my hands on an advanced reader copy. This book was fantastic. Brandon is an amazing author. I love his sense of humor and the way he portrays his characters, they are very likable and you feel like you really get to know them. 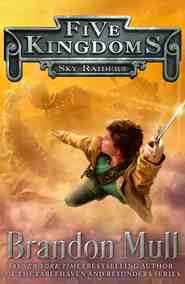 Just like Fablehaven I felt like the characters would do things and make similar decisions that I would do. Anyway, all those who love great books, be sure to read Candy Shop, you won't be disappointed! !